EDINBURG — A prosecutor trying a murder case against a former Palmview police dispatcher told the jury Tuesday that the trial is about three things: objective versus subjective evidence, an abuse of power, and a 21-year-old girl who isn’t in the courtroom. In addition to murder, Jacobo Daniel Rivera, 24, is charged with manslaughter, evading arrest or detention causing death, and evading arrest or detention causing serious bodily injury. Charges stem from an Aug. 17, 2016, single-vehicle collision in Palmview. His girlfriend, 21-year-old Kryztal Lynn Luna, died as a result of injuries she suffered when the Mustang he was driving crashed into a West Expressway 83 concrete support pillar on Showers Road. Juan Martinez, a Palmview police officer and fellow passenger in the vehicle, was also injured in the crash. Assistant District Attorney Vance Gonzales told jurors the state’s case “does not depend upon what is going on inside of that car,” but rather on a dashcam video from a Texas Department of Public Safety trooper who attempted to conduct a traffic stop on the Mustang, in addition to two surveillance videos and video of the fatal route the Mustang traveled, as well as the car’s black box. “Since you can’t trust (Rivera) and you can’t trust Martinez, we’re left with playing some videos, giving you scientific evidence, hard evidence of what really happened,” Gonzales continued during his opening statement, charging the men with protecting themselves after the accident by undertaking a “cover-up” that will “shock” jurors. Rivera’s attorney, O. Rene Flores, declined to give an opening statement, reserving the right to make one after Gonzales and ADA Lauren Sepulveda have made their case against his client. 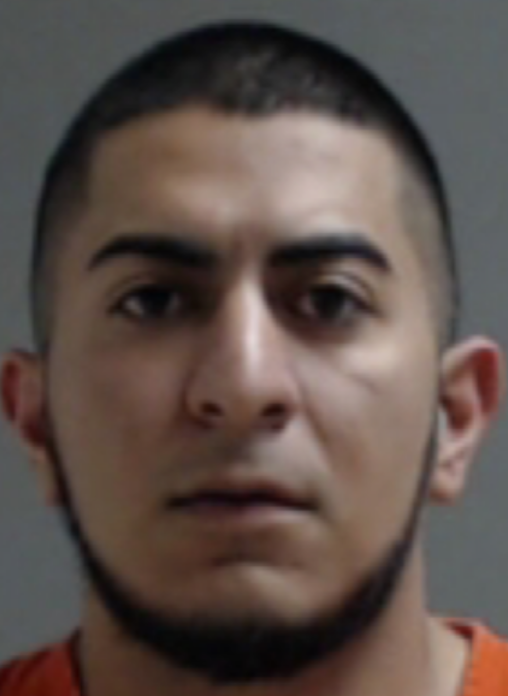 Rivera, who was also a volunteer firefighter with the city of Palmview, allegedly attempted to flee from the trooper and was reportedly traveling more than 100 miles per hour, according to the probable cause affidavit tied to his October 2016 arrest. He was initially placed on unpaid suspension but was fired after he stopped cooperating with Palmview investigators. Martinez returned to duty following the crash. Jurors heard testimony from three witnesses on the first day of trial, among them a friend of Luna’s who stated she saw Luna, Rivera and Martinez at a bar on McAllen’s 17th Street hours before the crash. They also briefly heard from a DPS analyst who enhanced the dashcam video that will be shown this week and extracted frames from it, in addition to a DPS sergeant called to the scene. Both the prosecution and defense are expected to point out issues with Palmview police’s handling of the investigation during the trial, which will likely run into next week. If convicted of murder, a first-degree felony, Rivera could face up to life in prison. The second-degree felonies, manslaughter and evading arrest causing death, carry up to 20 years in prison. The third-degree charge of evading arrest causing serious bodily injury is punishable by up to 10 years in prison.